If you are of Islamic faith you are called Muslim. 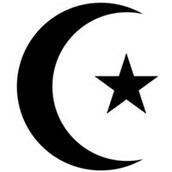 The Islam religion believes in one good, called Allah. They pray five times a day, wherever they are. Their places of worship are called Mosques. All Mosques are built facing the direction of the Mecca, it is also the direction they face when they pray. Eid Al - Ahad is a celebration after haj, where food offering are given to their friends and family. This is usually after a person makes a pilgrimage to the Mecca. Ramadan is also a Muslim holiday. During Ramadan , Muslim people, from the time their parents decide it is right for them, fast from sunrise to sun set every day for one month. The one month that this is celebrated for is the month, that their holy book , the Qu'ran was given to them. Ramadan also celebrates that the gates of hell are closed and the devils are locked away and a reminder that the gates to heaven are open. When Ramadan is over there is a big celebration called Eid Al- Fither, that celebrates Ramadan's end. Islam was formed around 622 C.E And was based upon the teachings of the prophet Muhammad. His teachings were mostly about surrendering all will to Allah. There are two different branches of Islam, Sunni and Shi'a, these groups separated from being one after Muhammad died and their dispute was about the leader s who followed him. Hinduism is the religion of most people in India and Nepal. 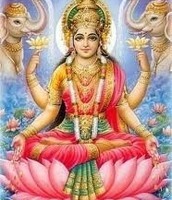 Hinduism believes in many different gods and deities . There is no specific founder of Hinduism or scripture that has a specific list of teaching. Hindu people believe in Karma and reincarnation or Samsara . They believe that during every life you have , you are focused on reaching the ultimate, goal or liberation , Moksha. Moksha is when your soul is finally through with the cycle of birth, rebirth and death and you are finally at rest. Hindu weddings are very complicated and holy. the priest may chant many mantras in Sanskrit before the ceremony actually begins. there are a lot of actual steps to Hindu weddings such as Jayamaala , mahdu - parka and at least eight more. Hindu people usually tend to worship individual but there are temples that often have different meanings through out the building. one Hindu Holiday is Diwali. 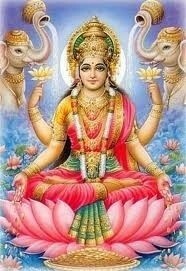 Diwali, is the festival of lights and celebrates victory of good over evil. this celebration lasts for five days gifts are given and fireworks are set off. 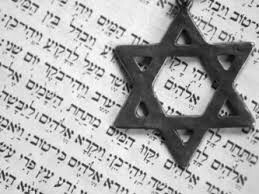 Judaism is a religion that believes solely in one god. It is one of the earliest monotheistic religions and began over 3500 years ago in the middle eastern area of Israel. Jewish people follow the teachings of their holy book, The Torah, which is in Hebrew. Jewish people celebrate Sabbath on Friday night into Saturday night, it is called Shabbat and is known as the day of rest. during Friday night candles are lighten and prayers are sung. There is no electricity, exchange of money or work during this period of time. There are three branches of Judaism, Orthodox, Conservative, Reform. Orthodox is the most religious. On weekday mornings during prayer some Orthodox and Chasidic men, use Tefillin. which is a black box and they wrap it around head and arm. Jewish men wear yarmulkes or kippas on their heads. a Bar or Bat mitzvah is a rite of passage in the Jewish religion. historically it had only been men who made this but the Conservative and Reform movements have begun bat mizvahing girls . a bar or bar mitzvah literally means son or daughter of the commandments. someone is usually twelve or thirteen when they are bar or bat mitzvahed. this ceremony occurs Saturday morning or sometimes Friday nights, and the child leads the prayer service and reads the Torah for the time. Rosh Hashanah and Yom Kippur are the holiest of the Jewish holidays. Rosh Hashanah is the new year, it lasts two days and people eat apples and honey and go to temple. ( shul or synagogue) it is overall a very happy holiday. Yom Kippur is the day of atonement, Jewish people once bar or mitzvahed are required to fast on this day . this day is spent In temple praying. In between these holidays are ten days, that are called the days of awe . this is a special time in the Jewish religion, where you try to make all wrongs you have done right. Yom Hashoah is not a religious holiday but has been made in order to remember the six million Jews killed in the holocaust. every year candles are lit around the world in remembrance. In the Jewish state of Israel a siren is sounded and everyone stops what they are doing for five minutes of silence. Christianity is a religion that believes in one god and that came about during the time of Jesus and is based off of the same principle beliefs as the Jews with a few minor differences. Christians believe that Jesus was the son of god and that he was Messiah. Christian holidays include Ash Wednesday , Christmas, and Easter . Ash Wednesday ,which marks the first day of Lent is a period of time ( forty days) that represents the time Jesus spent in the wilderness, ignoring the temptation of Satan. Lent ends on Holy Saturday, which is also an important day. and Christmas, which is a holiday that represents the birth of Jesus ( Christ) and Christians go to church and celebrate by giving presents. 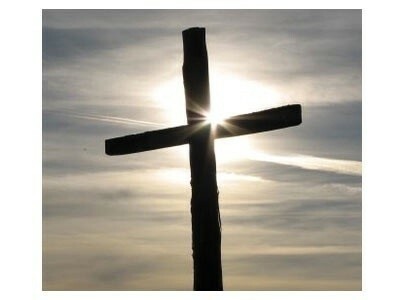 Easter is said to be one of the most important holidays in Christian religion. Easter celebrates the resurrection of Jesus, who is Christian belief died on the cross after being forced to death, but then came to life. One example of Christian rituals is a first holy communion, that takes place in a church and is usually when you are in second grade . It is supposed to be the fist real bond that a child makes, uniting individuals and groups in the Christian faith with Jesus and eachother. their book is referred to as the bible and has two parts, the old testament , and the new testament. Buddhism is religion over 2500 years old, and all started with one person. The Buddha is the one who started it all. according to Buddhist belief Prince Siddhartha, who is referred to as the Buddha gave up everything, to live a life of poverty. he reached enlightenment at one point and since then that is the purpose and goal for all Buddhist people, to reach enlightenment. after Siddhartha reached enlightenment he taught that way to end suffering was to understand and be one with nature. they follow the four noble truths to elimate the suffering. the Buddhist purpose of life is to end all suffering . one Buddhist holiday is Vesak. Vesak is the most important holiday in the Buddhist religion. 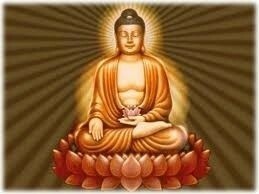 Vesak is the birthday of Buddha. this is celebrated on the first full moon of may and it celebrates his birth , enlightenment and the death of the Buddha. meditation is an essential way of life for Buddhists on their path to enlightenment. meditation can take place at home or in a Buddhist temple. there are also mantras used during prayer and mudras, which are symbolic hand gestures. Buddhism is a very relaxed religion overall. Buddhist believe that while there is not one god specifically there is something that decides upon the enlightenment.